The UK’s leading independent job board, CV-Library, is constantly making updates to its mobile job search app, with its latest feature enabling candidates to search and apply for jobs, even when they don’t have an internet connection. The change has been made to improve the user journey and increase applications from candidates that live in areas of poor connectivity, or are commuting via the tube. This is now available to candidates using Android devices and is due for release on iOS this month. As a result, the amount of candidates registering on CV-Library through its app jumped by a huge 24% last month, when comparing year-on-year data. Other upcoming features include fingerprint ID login, making it quicker, easier and more secure for job hunters to apply for jobs on the go. 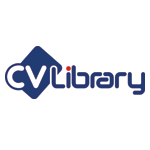 CV-Library is one of the UK’s largest online job sites and attracts over 4.3 million unique job seekers every month. Founded by Lee Biggins in 2000, CV-Library is the UK’s leading independent online job board with a database of over 12 million CVs.